The abstract works use primitive shapes and symbols to investigate the visual language of displacement and place. Waves, ships, and city buildings, drawn with short energetic brushstrokes, populate these insular worlds. The formal, hard-edged palette suggests that this fantasy world is perhaps sturdier than the one we can see around us. 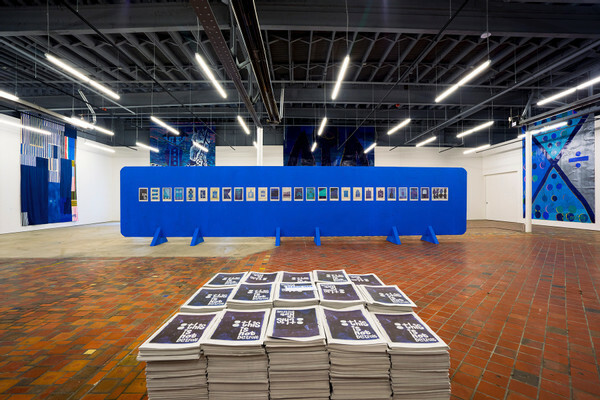 These unique imaginings invite viewers to reflect on Detroit as a place, and as an idea — a parallel dream space.